Anyone catch the season finale of the Next Iron Chef America with Chef Mehta versus Chef Garces ? However, what really peaked my interest was a commercial they showed during the finale for an upcoming 2-hour special of Iron Chef America that will be shown on January 3, 2010. A chef duo battle with Iron Chef America Mario Batali & Emeril Lagasse versus Iron Chef America Bobby Flay & White House Executive Chef Cristeta Comerford is scheduled to take place. The commercial not only promised that the secret ingredient would be amazing but a guest would also be of “national security”. Of course, that peaked this gal’s interest……and after a little snooping around, I found that First Lady Michelle Obama will challenge the Chefs to use the White House Kitchen Garden’s to create 5 courses to showcase ULTIMATE American meals. 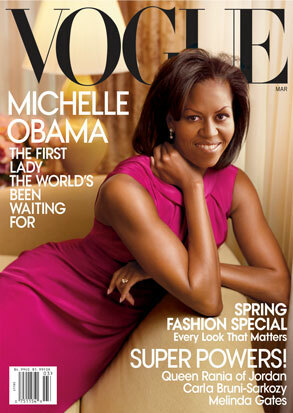 I LOVE ME SOME MICHELLE OBAMA! I’m equally excited to see more of the White House Kitchen Garden’s as it falls directly in line with President Obama’s charge to Agriculture Secretary Tom Vilsack to combat child hunger and improve the health and nutrition of children across the country. Next Post The Barefoot Contessa Does It Again…. i agree about the finale. was bored to tears. the dishes were not what i expected for the finale from the next potential iron chefs. can’t wait to see the upcoming battle you referenced. here’s a question to pose to your readers on your blog: which chefs would you like to see paired with an iron chef in the next big battle?